10 Free Things to Do in Mesa Right Now! Who said you had to spend money to have a good time? That just isn’t the case and we firmly believe that you can have a blast without burning a hole in your wallet—after all we are in Mesa City Limitless®! We’ve gathered a few of our favorite free activities that you can do right now. Now through April 22 visitors can take a free tour guided by rosarian docents of the Rose Garden at Mesa Community College. 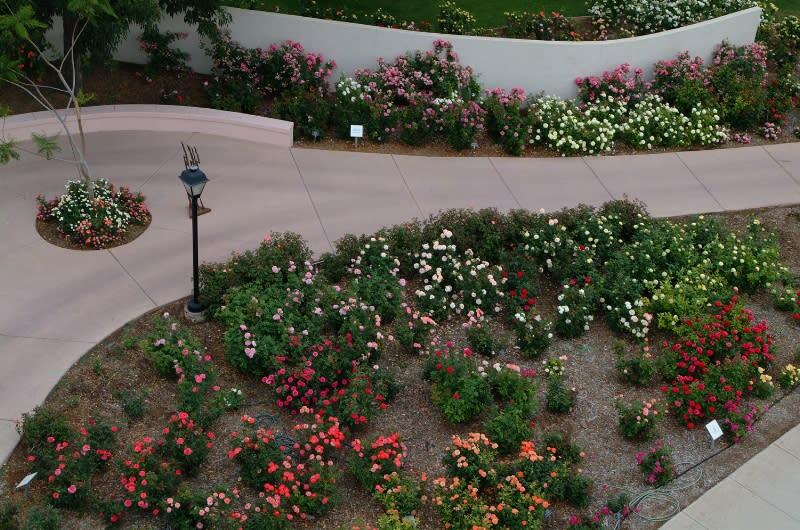 This rose garden is the Desert Southwest’s largest and hosts nearly 9000 rose bushes! Have fun supporting local artists and seeing their creations at the Downtown Mesa Festival of the Arts (formerly MACFest) — admission is free and there is live entertainment! Food and artist pieces will be available for purchase. There are three dates left: March 18, April 1 and April 15. Visitors will want to set time aside to take a drive on the Apache Trail—you won’t want to miss out on the stunning canyons, geologic formations, desert flora and lake views that are visible on this drive. Tip: Go in March to see the beautiful wildflowers that have bloomed! The Mesa Contemporary Arts Museum at Mesa Arts Center holds five galleries that are always changing to showcase the art of emerging and internationally recognized contemporary artists. Admission is always free and the exhibits are always visually stunning! Before you hit up Mesa Riverview to dine and shop, you can tire out the little ones by taking them over to Mesa Riverview Park to play. 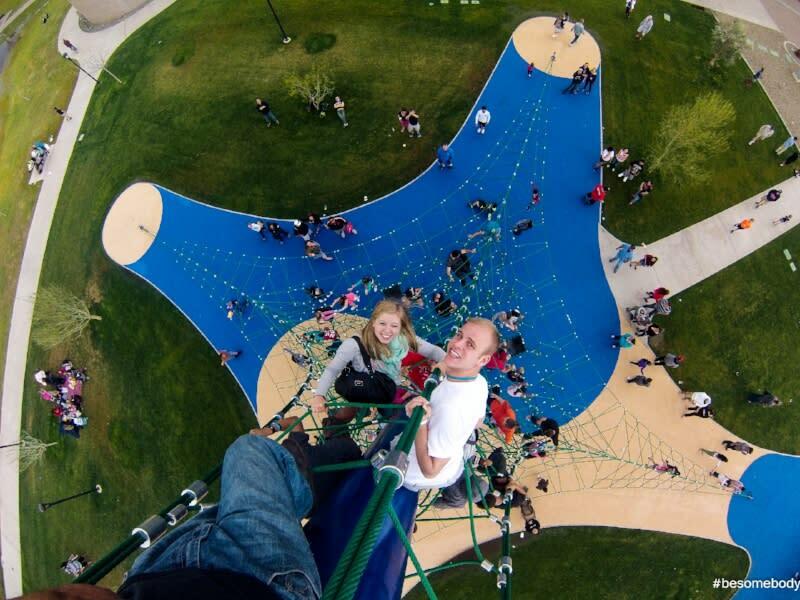 There is a 50-foot tall climbing tower, 60-foot long caterpillar mesh rope climbing structure and two playgrounds to keep the kids busy! Parents can sit in the shaded picnic areas or hang out by the Urban Fishing Lake! If you already own a paddleboard, kayak or canoe then head on out to the Salt River! It’s a convenient day trip for Mesa visitors and a great way to spend a refreshing spring day. You’ll have to dish out some money if you don’t have your own equipment, or if you would like to fish, as a fishing permit is required. If you’re itching for some Friday plans, we’ve got you covered! 1st, 2nd and 3rd Fridays go down every month and are free fun for the whole family. 1st Fridays are “Motorcycles on Main” where you can admire motorcycles and show off your own (live music, beer gardens, food and vendors are available). 2nd Fridays are “Friday Night Out” where downtown galleries and businesses join together to create an exciting, fun-filled (and themed) Friday evening! 3rd Fridays are great for families as the i.d.e.a. Museum hosts “Movie on Main,” a free movie viewing free and open to the public! 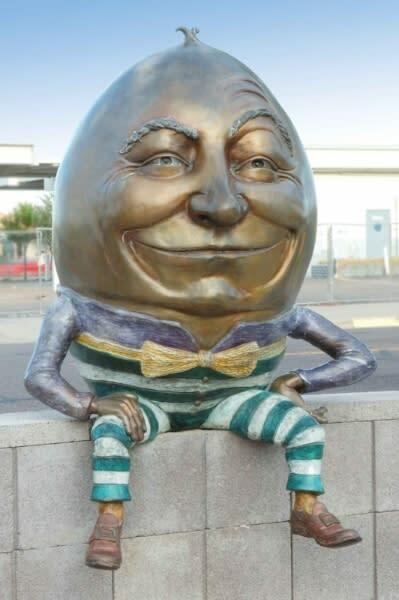 If you haven’t been downtown yet (or even if you have) the best way to get around is by following the sculptures! After you see them all you’ll have to let us know you’re favorite—we love the Humpty Dumpty, he’s just a classic. Oh! And when you’re done spotting all the sculptures you can admire all of the murals that adorn the walls of downtown businesses. Mesa Arts Center is the largest and most comprehensive performing, visual and educational arts center in Arizona and offers free public tours of its international award winning facility. Tours are an hour to an hour and fifteen minutes and includes all theaters and art studios on the first level, the shadow walk and the Mesa Contemporary Arts Museum. Tip: Wear comfy walking shoes! Enjoy free admission, free parking and free live entertainment as you browse the Mesa Market Place Swap Meet! There is more than a mile of small businesses offering a variety of products to browse or purchase. The Mesa Market Place is open year round for your enjoyment. Make sure to share the fun and tag your photos with #VisitMesa and #MesaCityLimitless!